HTC is working on a woman-centric Android smartphone, HTC Bliss that is expected to hit the market by the end of this year. Today, I got some details information of its hardware and software configuration. It is designed for women so it will be available with some attractive colors such as greenish hue, pink and blue. For making it more desirable for the women, the company promise that the handset will be arrived with a set of accessories. The most appealing accessory will be a charm indictor that works as a LED Notifier. Whenever a woman receives a message and call then this indictor will be lighted up.HTC Bliss will be manufactured with a special rubberized plastic so that a woman can grip this phone comfortably. 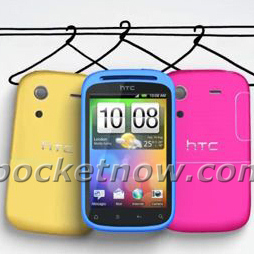 HTC has to launch HTC Sense 3.5 UI before the official launch of HTC Bliss while HTC Sense 3.0 UI has been announced with the launch of EVO 3D smartphone a few weeks ago. There is no word about the price of HTC Bliss but I knew that this phone will be launched by the end of this year. It will be launched by Verizon Wireless in the United States after that European carrier will start shipping it.